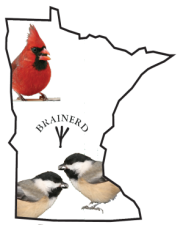 Welcome to MN Bird Guide. Judd Brink has been guiding for several years in central Minnesota. Our service provides guiding for birders and wildlife photographers to some of the best locations in the state. Many of our trips visit the boreal forests found in Aitkin County and the famous Sax-Zim Bog! What birds are on your bucket list to see or photograph or would be a life bird for you? Some of the birds requested by our clients include; Great-gray Owl, Boreal Chickadee, Sharp-tailed Grouse, Common Loon, Northern-hawk Owl, Black-backed Woodpecker and Connecticut Warbler. Highest Common Loon breeding/nesting population in the contiguous U.S.
Minnesota ranks in the top ten for wildlife participation/tourism in the U.S.
Minnesota has 5 of the most sought after species in the U.S.
Boreal Owl, Great- gray Owl, Connecticut Warbler, Northern Hawk Owl, Yellow Rail and Snowy Owl!